Need help figuring out how to start a gluten-free diet? 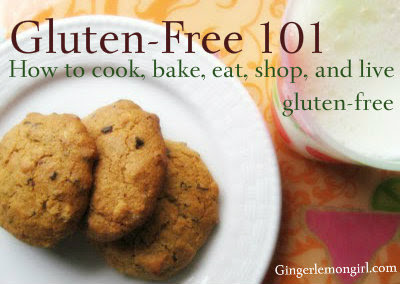 eat, shop, and live gluten-free! This page will be updated regularly with new resources. The "How to go Gluten-Free" Series from Schar Foods. These videos were created with the help of Lauren-Lucille Vasser, founder of The Celiac Diva. Lauren-Lucille is a trained actress with a wicked sense of humor and a love of all things gluten-free after learning it was the culprit behind numerous health problems she had experienced for years. Lauren-Lucille continues to work with Schar Foods in creating helpful videos for those new to being gluten-free. Cheryl Harris is a registered dietitian with a Master's in Public Health Nutrition. She is also a certified breastfeeding counselor as well as a certified wellness & health coach. Cheryl runs a private counseling practice in Northern, VA. Cheryl is an established & published expert on the gluten-free diet, often consulting with national newspapers and news sources. And due to personal health issues, Cheryl follows a gluten-free diet as well (along with having multiple other food sensitivities.) Cheryl, along with the help of Dr. John Snyder and Dr. Gary Kaplan created this series of videos as a free resource for anyone who needs to learn about what following a gluten-free diet is all about. Cheryl also blogs at Gluten Free Goodness.